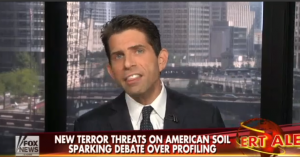 Fox News commentator Jonathan Hoenig on Saturday apologized for his comments about the internment of Japanese Americans during World War II. “I want to issue a sincere apology for my remarks on last week’s ‘Cashin’ In,’ which I believe were unfortunately misinterpreted. The internment of Japanese Americans during World War II was completely immoral. I’ve never defended it. In a Sept. 25 post entitled “When Subtlety Is Lost” on his “Capitalist Pig” blog, Hoenig wrote, “It’s called ‘confirmation bias.’ People hear what they want to hear, instead of looking at the context and meaning of what was actually said. “My comments regarding profiling on last week’s ‘Cashin’ In’ did not praise the internment of Japanese Americans — quite the contrary. The point was to illustrate the brutal lengths this country went to win that war. “I do not believe nor did I ever suggest internment was moral or even effective, only that, historically, profiling potential threats based on ideology during a time of war would have never been questioned, let alone objected to. Just wanted to let you know that German Americans and Italian Americans were also interned in the U.S. During WWII. I am an American of German descent who was locked up at 12. There were more than 50 internment camps and detention centers which held Americans of German and Italian descent.